Out of the 7,107 islands in the Philippines, there is one island that has earned the reputation as the complete travel destination—the island province of Bohol.. Considered as the 10th largest island in the archipelago, this oval shaped island province is located in the heart of the Visayas region. 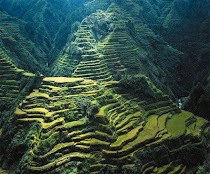 It lies between the provinces of Cebu and Leyte to the northwest and to the northeast respectively. 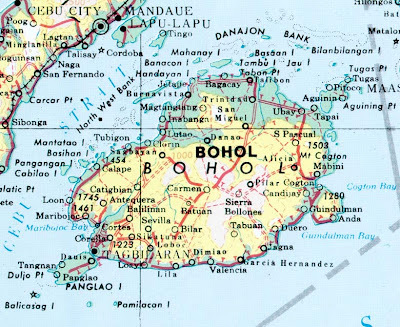 Recently, the island of Bohol, has been recognized as the number one tourist destination for a lot of local and foreign tourists in the past five years. This reputation has been gained through the ongoing successful development of varying tourist destination sites by the government; thus, boosting its tourism industry. 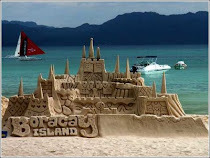 But even in the previous decades, Bohol has already gained the attention of tourists through the world-famous Chocolate Hills and as well as its white-sand beaches. 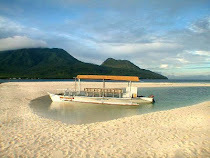 What made Bohol become more interesting destination and a memorable experience are its hidden “treasures”. Those who already have savoured the beauty of the island not only once but for several addictive times, would consider Bohol as “God’s Little Paradise,” because of its natural wonders. One way to return the favour for the many gifts that one got from Mother Nature is to take good care of her. This environmental advocacy is greatly reflected in the Boholanos’ preservation of various trees planted on the surrounding areas of the road in the town of Bilar. This path used to experience floods during rainy days that obstruct vehicles from taking it. As the main solution for this problem, a reforestation project was carried out in this vicinity during the 70’s. The trees planted, stand with graceful sturdiness as they help in ceasing occurrences of floods. One notable characteristic of this forested area is that when one enters it one can immediately feel a sudden drop of temperature. A lot of tourists, especially those who have gone to Baguio, name it as the Little Baguio of Bohol because of its cool atmosphere. Tourists can take advantage of taking pictures with the gigantic trees scattered all over the area. Located 2 kilometres from the town proper of Dauis, the Hinagdanan Cave is almost an all natural attraction since certain areas have been modified in order to ease up its accessibility, but none the less the cave is still a must-see site. The cave was discovered by a farmer who was cutting up the weeds to give way for his planting when he accidentally discovered a large hole. Thinking that it might lead to something else, the farmer dropped a stone to find out if there is a surface below. But to his surprise, he heard the sound of water. That immediately made him conclude that this was not an ordinary hole but it was a hole leading to a cave. Since the hole was too small for him to pass through, he tried to find another hole that can serve as a passageway to the cave and found it indeed. The cave is an underground type, which required a ladder to aid in accessing it. Later on, a cemented staircase was permanently made, which is known as hagdanan in the native tongue. Soon the added structure became associated with the cave eventually causing the cave to be known as the Hinagdanan Cave(A Cave with a Staircase). For cave exploration enthusiasts, one can study the alluring stalactites and stalagmites inside the cave. One can also take a dip in the pool found in the middle of the cave that is more than 10 feet deep. A professional lifeguard is available for the safety of the swimmers. There are only two fluorescent lamps that provide light for the visitors for better viewing inside the cave. However, one can bring a flashlight or a battery-operated torch for additional lighting while exploring the cave. Legend has it that the townspeople long time ago could borrow house utensils from the supposed elves that reside in the cave. However, the benevolent relationship between the people and the supernatural beings ended when the borrowers neglected to return what they borrowed from the magical beings. What is unique about the cave is that the water of the pool is a mixture of salty and groundwater creating an effect of a smell of piss. But the cool temperature of the pool offers a stress-releasing benefit for anyone who wants to take a dip in its waters. Badiang Spring is an extraordinary water system that is located in Valencia. This is an underground spring that provides freshwater that gushes out from twin pipes that are located near Bohol Sea. The freshwater that is released from the twin pipes is diverted to fill two swimming pools of opposite sizes. The larger one basically is for adult swimmers and the smaller one is intended for children only. Although this natural attraction has not yet gained fame similar to that of the Loboc River, this spring is beginning to draw attention from an increasing number of travellers. Well-sheltered picnic tables have already been installed near this scenic spot to invite picnickers to experience the beauty of the spring. This winding river has gained rising fame from hosting cruising activities for both local and foreign visitors. 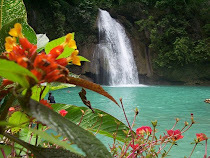 This river is located in the so-called singing town of Bohol, the municipality of Loboc. This river, as far as the modern world is concern, has long been an important part in the lives of the Lobocanons for this is primarily the source of electricity that is distributed to several towns in Bohol including the town of Loboc. 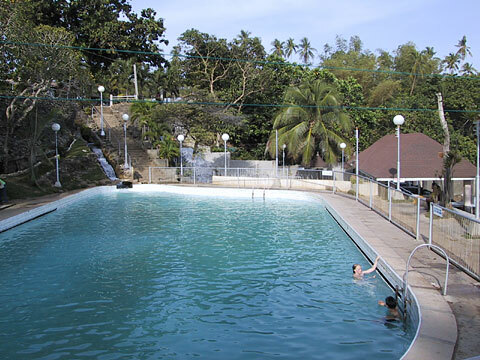 Aside from being a source of electricity, Loboc River has also long aided the people in daily activities like washing, bathing and other recreational activities. More importantly, this river has provided jobs to a lot of people as it has opened income-generating livelihoods by entertaining the needs of tourists around the area. The most famous of which is the floating restaurant cruise wherein tourists are able to experience first class dining while on board for almost an hour, that could start either from the Loay Bridge that is found in the neighbouring town or at the town proper. If Cebuanos take pride of Lapu-lapu who became the first Filipino who fought and killed Ferdinand Magellan who led the first group of Spanish explorers haplessly to the Philippines, the Boholanos also have their very own Datu Sikatuna. He, a native of Bool—a barangay of Tagbilaran City—became the first Filipino ambassador of peace and goodwill. He carried out this role when he performed a blood compact with Don Miguel Lopez de Legazpi, who traced the footsteps of the Portuguese Ferdinand Magellan and successfully led the next batch of Spaniards to set foot in the archipelago. Held on March 16, 1565, this unprecedented feat in Philippine history is considered to be as the first “Treaty of Friendship” between a European and an Asian. Essentially, the blood compact was forged between these two chieftains for the purpose of creating cordial and diplomatic relations between the two very different kingdoms – it was a political event. In commemoration of this historical event, a life-size diorama made up of pure bronze is erected just few meters from the exact location where the ritual was made. The statues depict what happened during that commemorative event, and in a way by serve as an evidence of Bohol’s rich history. Boholanos take pride not only of their scenic landscapes, but also of their pristine white-sand beaches that are at par with some of the world’s famous beaches. In fact, in the island of Panglao, several private and public beach resorts provide tourists with one of a kind beach experiences born from the beauty of the place along with their hospitable services. 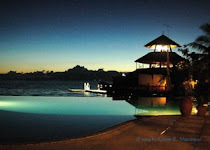 The world renowned Alona Beach resort is an example of these worth-seeing beach resorts. This 800 meter stretch of white sand beach has attracted a lot of visitors, both locals and foreigners alike are attracted to the one of kind activities offered by beach and diving resorts. Most of these foreign tourists have already settled for good in this area because of the peace and security that they experience as well its accessibility. Most scuba diving services can be arranged in any of the resorts found in this area making it as a point for embarking on dive tours to two of the most famous dive spots around the world—-Balicasag and Pamilacan islands. It can be safely said that because of the satisfaction and convenience provided by beach resorts like Alona Beach cause a lot of foreign visitors to come back for more and experience again the beauty of the place and the people of Bohol particularly in Panglao. An important site for the spiritual uplifting of the townspeople, this church is located at the heart of the municipality of Dauis in the island of Panglao. Although the church was built during the Spanish regime, it possesses semi-modern features especially on its façade. The church is flanked with a rotunda, barangay hall and a mini-park—one common characteristic of a Spanish town layout. This church is characterized with a ceiling that displays lifelike murals depicting religious figures from the Holy Bible, a traditional pulpit, tombstones of the church’s benefactors, a choir loft and a lifelike centuries-old image of the Virgin of the Assumptions at the altar. But what makes this church uniquely different from the rest of the churches in the island of Panglao and mainland Bohol is an existing well at the foot of the altar. The well was not intentionally constructed at the foot of the altar, but its formation was brought about by a miraculous involvement of their patron saint, the Virgin of the Assumptions. Legend has it that when a group of pirates invaded the town, the townspeople quickly heed for protection and security in the premises of the church for several days. Since they locked themselves inside the church, they naturally ran out of provisions and water. This made their stay difficult since water is an important basic need of human beings in order to survive. Suddenly, out of nowhere a well appeared at the foot of the church altar. The water from the well to their surprise was fresh and palatable despite the fact that the church was constructed just near the sea. Many attributed this divine intervention to the Blessed Virgin Mary without doubt, but instead with strong conviction. Being the oldest church in Bohol, the Baclayon Church serves as a cornerstone of the Boholanos’ embrace of the Catholic faith introduced by various religious orders all throughout the country. Baclayon church is the first stone church to be built around the area of Baclayon. It was constructed by both the hopeful Jesuits and the local town folks of Baclayon that were eager to embrace fully and strengthen their Catholic faith. Later on, the rest of the Boholanos in various towns of the province caught up with the religious spirit displayed by the people from Baclayon by putting up their own respective stone-churches; thus, cementing their lives to the Catholic faith. Beside the idea, it is also interesting to note that the townspeople of Loboc and Loon built their own churches with different features making it unique to the other churches in the province. The Loboc Church which is located just few steps from the very famous Loboc river stands with pride with its massive edifice. The museum that is adjacent to it houses ancient church relics and artefacts and it is open for viewing all throughout the week. Right next to the museum is a convent where the internationally acclaimed and multi-awarded Loboc Children’s Choir is regularly trained not only for competitions but also for cultural performances and Eucharistic celebrations. If you happen to visit the church while the choir is having their practice, you would be lucky to have the opportunity to listen to the golden voices of these classically trained young singers. Nevertheless, if you visit as a group, given the permission, you may request the choir leader or the parish priest to get a glimpse of these melodic cherubs who will perform for you with just few tunes. The Church of Loon, also known as the Church of the Virgin of the Light, projects magnificence with its Baroque-influenced architectural features reflected on the façade. On top of the main entrance of the church is a carved image of the Virgin of the Light who happens to be the patron saint of the Loonanons. As a tribute to the founding of the church with the Blessed Virgin Mary as their patron saint, the Loonanons hold a feast day annually every 8th of September. This festive celebration stands out from the rest of the feast days in different towns in Bohol as this is the only one scheduled on a different month unlike the rest that are in the month of May. Also, an interesting feature of this festivity is that during this occasion, everybody invites anyone to feast with them all throughout the day through “open house” invitations. One interesting feature of this church is that it is connected to Barangay Napo which used to be the former seat of the municipality of Loon through what is believed to be the longest stairway in the country. It has a total of 154 steps made up of coral stones. Fronting the church just few meters away are the tennis and basketball courts which are free for use by anybody even by visitors from other places. Just wanted to thank you for adding our picture to your website..
Bohol is such a great place and the boholanos are very hospitable and sweet people.